Smith Dining Services has been awarded a $10,000 grant from the Davis Educational Foundation for a pilot food waste reduction project. The grant was received from the Davis Educational Foundation established by Stanton and Elisabeth Davis after Mr. Davis’ retirement as chairman of Shaw’s Supermarkets, Inc. Professor of Government Brent Durbin receives the prestigious New Directions Fellowship from The Andrew W. Mellon Foundation. He is launching a project that aims to explain more fully how the 21st century “big data revolution” is affecting politics and social change. Click here for full story. The Andrew W. Mellon Foundation has awarded Smith College a grant to support academic art museum and library collaborations for use by the Smith College Libraries and Museum of Art. The grant was developed by Susan Fliss, Dean of Libraries, and Jessica Nicoll, Director and Chief Curator of the SCMA, in close collaboration with Samantha Earp, Vice President for Information Technology. The 18-month planning grant of $165,000 will be used to develop a collaborative, college-wide strategy to promote preservation, discovery and use of our campus cultural collections. Michael Thurston, William R. Kenan Jr. Professor of English Language and Literature, has received a $50,400 fellowship award from the National Endowment for the Humanities for a book-length study of the life and times of American literary critic F.O. Matthiessen, 1902–1950. Congratulations! The Office of Corporate and Foundation Relations (CFR) pursues institutional and faculty grants to support Smith's academic priorities and initiatives. The CFR team also works with faculty on identifying external research grant opportunities. We help Smith develop and strengthen beneficial partnerships with foundations, corporations and government agencies that share an interest in advancing education. These partnerships assist corporations and foundations in fulfilling their missions while advancing the goals of the college. 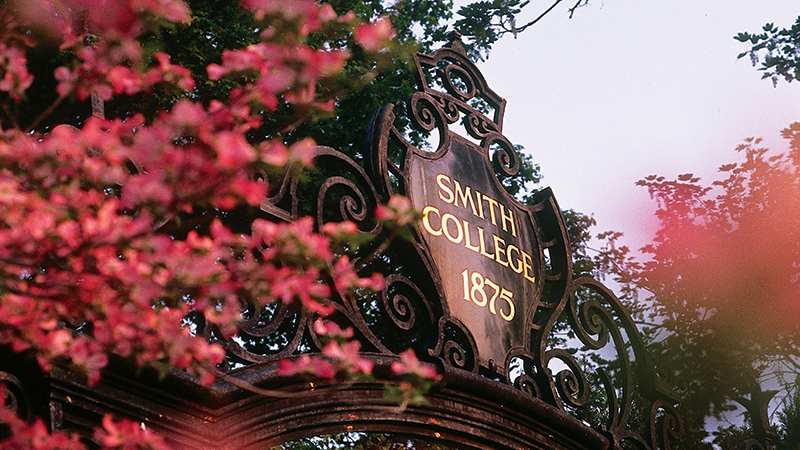 Thanks to these partnerships, Smith continues to be an educational leader across a wide academic spectrum. The Office of Corporate and Foundation Relations regularly publishes a newsletter to highlight upcoming opportunities and deadlines in the humanities, sciences and social sciences.